It’s rare for works penned by multiple people to turn out meaningful narratives, and, well, it’s eight writers that actually participated in the making of Littlewitch Romanesque (one of them was even a part of the now legendary travesty known as Dies Irae – Also Sprach Zarathustra-). 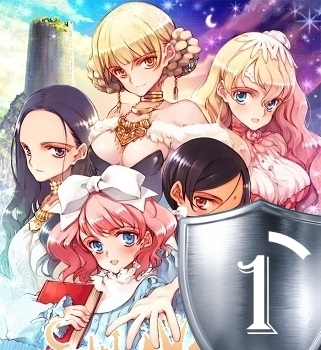 Hence I suppose it should come as no surprise that Littlewitch Romanesque, like most of the visual novels by the now defunct Littlewitch, has very little to offer in the terms of narrative. There is very little going in the story department: most of the routes are artificially bloated by generic fantasy filler that’s only ever good at lulling you to sleep, and there is hardly any tension, or anything interesting in general, going in the actual plot until it culminates in a the most underwhelming of ‘mehs’. Attempts at humor usually fall flat, while the game-play aspect of synthesizing magic grows tiresome quite fast and only serves to hinder the pace of whatever semblance of the plot you still have going. There is very little to the characters as well. Some of them are cute, sure, but very few of them actually have genuine problems to overcome, and pretty much none show more than one-dimension to their personality. I guess their inane banter does cover the minimal requirements of a moe game, but they’re certainly not a cast you’d come to looking for profound, memorable, or even interesting personalities. The visual novel reminded me a lot of later Atelier games with its cutesy art and lighthearted atmosphere somehow endearing you to play and keep playing it despite its obvious shallowness and a lack of anything to offer narrative-wise. So the stuff has its audience… that I am definitely not a part of. I say skip Littlewitch Romanesque if you’re the type who looks for something meaningful in your entertainment and enjoy works of Romeo, Loose Boy, Urobuchi, and the like. But if you don’t mind braindead stories and cute art alone is enough to satisfy your reading needs, then, well, jump straight in, I guess. I can guarantee it looks beautiful at least.